Supply side atau demand side economics? Capsule Hotels: Good idea atau bad idea? USA Restrooms: Keep the stall gap as is atau lower it? Do anda think Blaire White is fair in her viewpoints? Imagine that anda are in a boat. There are other people in your boat. There is also one person in the water. Allowing this person to get onto your bot will not sink the boat. Everyone could easily fit comfortably. But still, there is a person in the water. And maybe this tajuk got your attention. I Cinta the constitution so much that if they were selling shirts that berkata "I <3 The US Constitution" I would buy it in a heartbeat. I was that girl who walked around campus with a pocket-sized US Constitution in her purse, because, well, anda never know when you'll need to quote a two hundred tahun old document at someone, right? There's been a lot of Debat in this spot on the general idea of progressive "softies" who need "safe spaces" to avoid being "triggered." So being as math is the bane of my existence right now and I've finally snapped and nothing is left of my motivation in regards to math but a manifestation of pure rage and anger I am going to rant lebih about how much I hate math. I have grown to hate it so much that I am now putting effort and energy into my hatred of it. So I will now continue my venting and raging about why students shouldn't have to suffer like so.That berkata parts of this are going to be taken from my komen over on my 'is math necessary' poll. Surpriiiiise. sejak advocating minimum wage hikes, people get to signal their own political virtue—at the expense of other people’s jobs. artikel sejak Hans Bader for The Foundation for Economic Education, March 2019.
a poll telah ditambah: Supply side atau demand side economics? a comment was made to the poll: USA Restrooms: Keep the stall gap as is atau lower it? 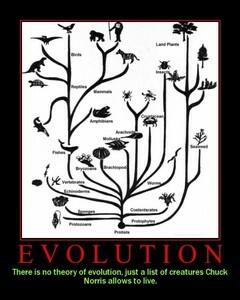 KNOW YOUR Debat TOPIC FACTS: How many forces contribute to evolution, according to Darwin? Abortion - pro-choice atau pro-life?